Dr. Ray Pritchard (D.Min., Talbot School of Theology; Th.M., Dallas Theological Seminary) has been a pastor for over 40 years and ministered in many places internationally. 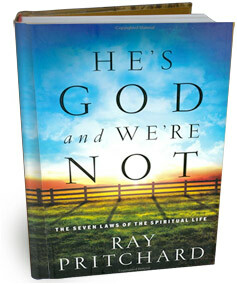 He has published 27 books with publishers such as Crossway, Moody, and B&H. He currently serves as the president of Keep Believing Ministries.